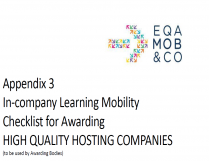 After a successful mobility, the awarding body can award the EQAMOB&CO label to the company. You can only award a company of your own country / region. 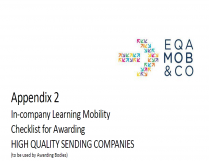 If you want to award a company from another European partner country, you will need to convince your European partner to join the network on their behalf.